This is called Long-tailed Ground-Warbler Bradypterus caudatus in the Kennedy guide. This is not an easy bird to see. It has a soft call and hides very well and moves quite fast. It runs behind bushes and grass. The tail is very distinctive it looks like an scraggly old broom. It is found above 700m in Luzon and Mindanao. 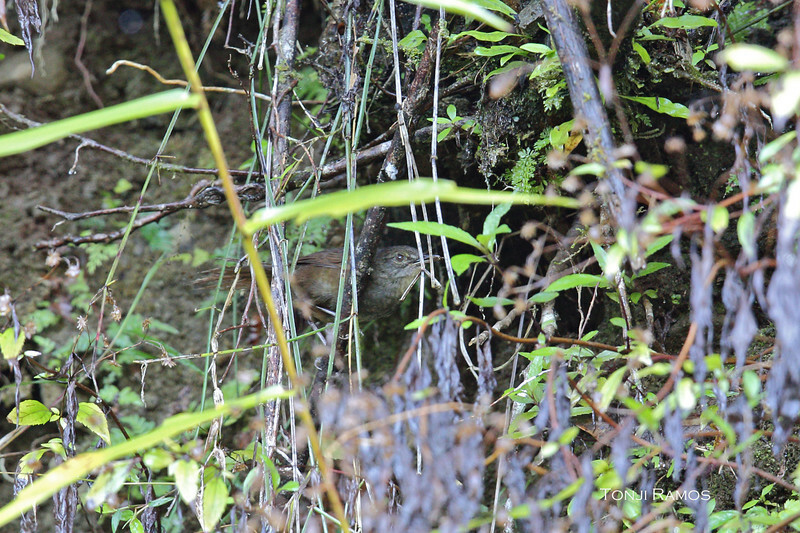 We first saw this bird in Bessang Pass in March 2013 and we encountered it again in May 2013. We were lucky enough to get pictures in May 2013 of this difficult to spot bird. A big thanks to Nicky Icarangal and also Ivan Sarenas.